I write very few reviews for IMDb but this film deserves a positive one. Firstly it was broadcast on SciFi channel so was expecting the usual "Space Lobster v Mega Puffin" script, direction and acting. How wrong I was. 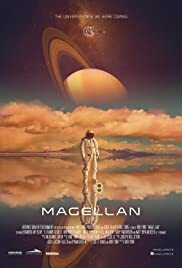 This is a proper SciFi film with an intriguing plot, great script, excellent acting, great direction, above average (for the low budget) and intelligently realised special effects and a proper well written score. I would love to have seen what the director would have done with an additional $250,000 costume and set building budget. As one reviewer has already stated, let's hope there is a sequel but this time with a bigger budget so that the director Rob York has less to hold him back.